This glamping accommodation can sleep up to eight guests. It has two master bedrooms, each of which has a king-size bed with a memory foam mattress, a 32-inch LCD television, and an ensuite full bathroom. 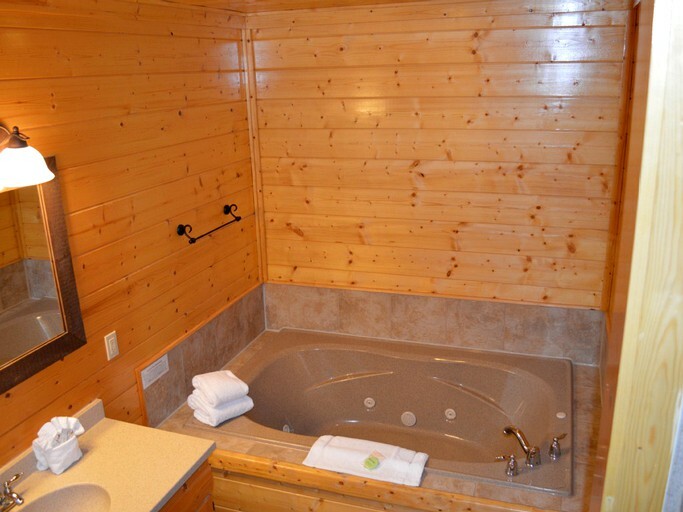 The bathroom in the lower-level master bedroom also has a Jacuzzi bathtub. In addition, there is a queen-size sofa bed in the living room, a futon in the loft, and a futon in the lower-level family room. 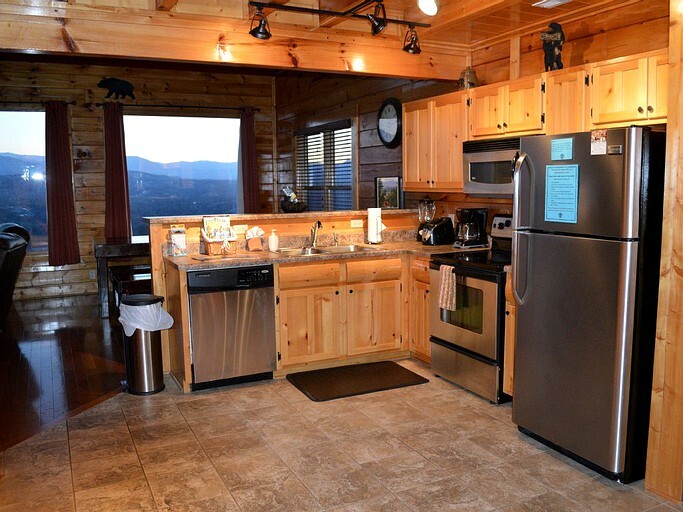 In the fully equipped kitchen, guests will find a refrigerator, a stove, a microwave, a dishwasher, a toaster, a coffeemaker, all necessary cookware and tableware, and three bar stools. Moving towards the living room area, there is the aforementioned queen-size sofa bed, two recliners, a 46-inch LCD television, HD cable TV, Netflix, an Angry Birds game (to be played on the television), and an electric fireplace. The dining area is nearby with a dining room table that has bench seating for eight. Up in the loft, there's another LCD television, a futon, and a pool table, while in the lower-level living room there is another television, a foosball table, a futon, a washer and dryer, and an iron and ironing board. 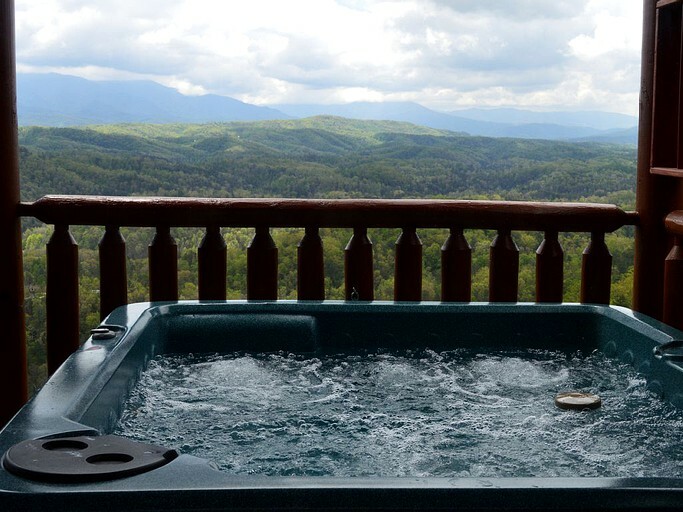 On the back deck, there is an outdoor hot tub and four rockers with fantastic views of the Smoky Mountains. At this luxury camping site, guests will find a four-person hot tub; multiple televisions and HD cable TV; Netflix; and both foosball and pool tables. 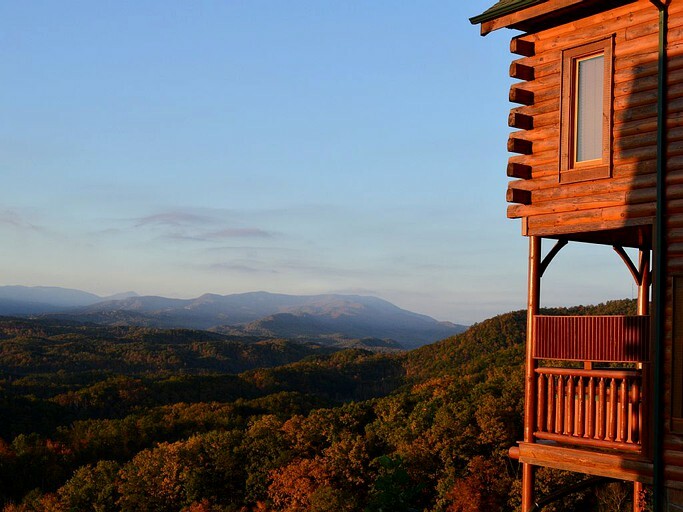 One of the most defining aspects of this glamping property is also its 180-degree views of the surrounding mountain range, including Mount Le Conte. 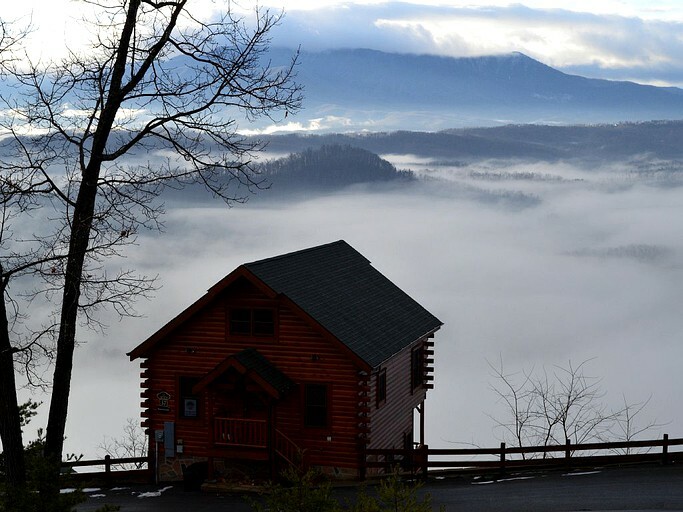 Pigeon Forge is a well-known resort city in the Smoky Mountains in eastern Tennessee. 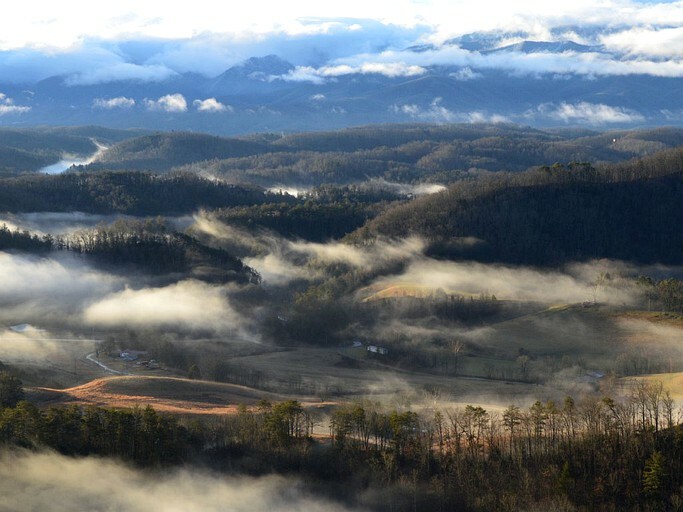 The city is only five miles away from the Great Smoky Mountains National Park, where glampers will enjoy hiking, climbing, birdwatching, and basking in the beauty of waterfalls. Aside from the diverse and numerous wildlife that live in this National Park, there are also over 100 different types of trees, over 1,400 different flowering plants, and over 4,000 different non-flowering plants. 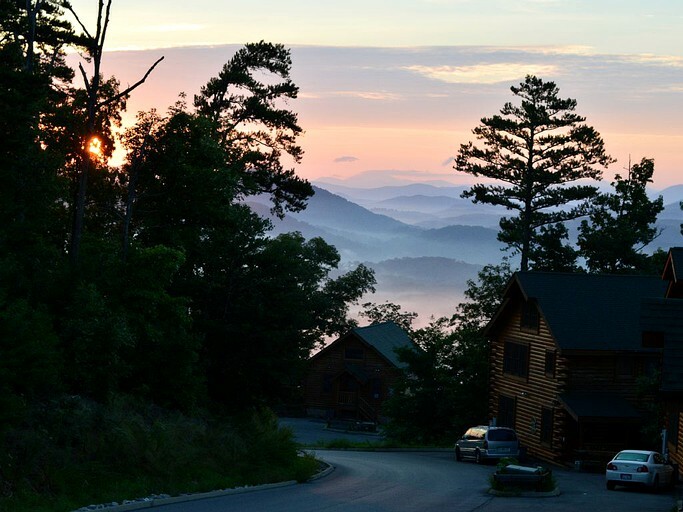 Get the cameras ready, because the scenery is one that glampers will want to remember for years and years to come! 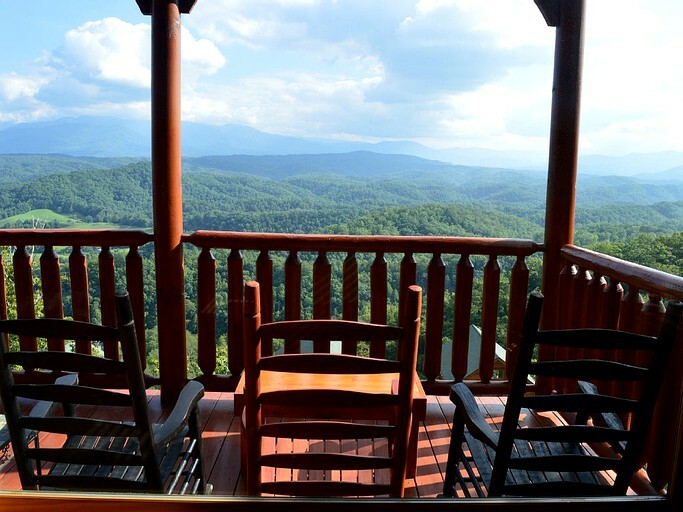 This accommodation's host has countless suggestions for activities, sightseeing, and more for while glampers stay in Pigeon Forge. 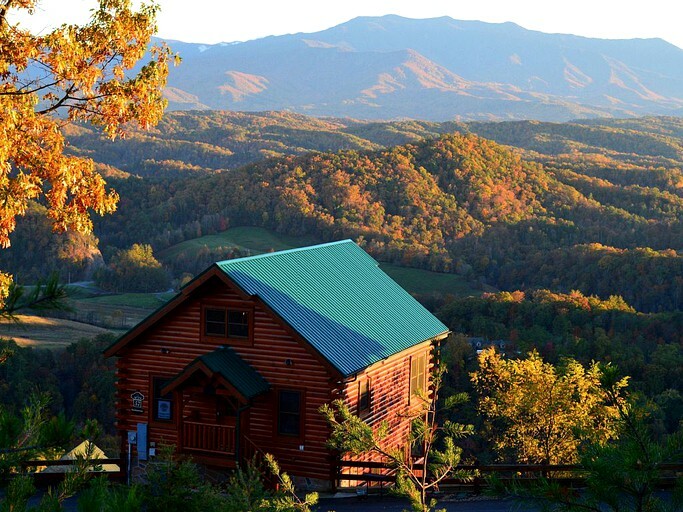 The cabin is roughly seven miles from Dollywood, which is Dolly Parton's theme park, and six miles from the Parkway, which is the main strip in Pigeon Forge. 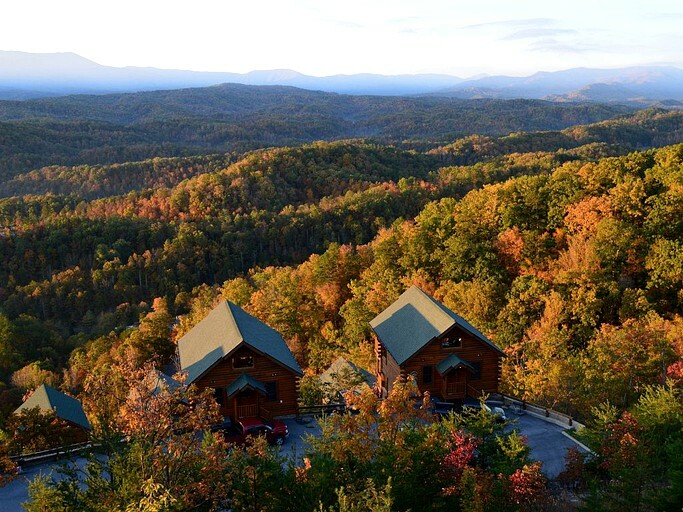 The Legacy Mountain Resort is also only six miles away from the cabin, for guests who'd like to go skiing and participate in winter sports while glamping. 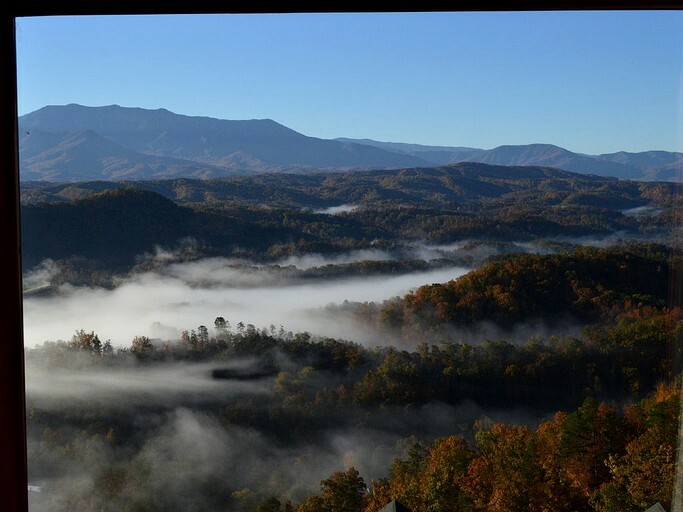 In between this city and the neighboring cities of Gatlinburg and Sevierville, guests will have access to: Smoky Mountain National Park, Dollywood Theme Park, Dollywood Splash Country, Smoky Mountain Opry, Titanic Exhibit, Wonder Works, Hollywood Wax Museum, Ripley's Aquarium, Zip-Lining, Go-Karting, Miniature Golf, Gatlinburg Golf Course, Indoor Sky Diving, Hatfield and McCoy Dinner Theater, Skiing, Scenic Chairlift, The Comedy Barn, Wonders of Magic, Lumberjack Feud Dinner Theater, Tanger Outlet Shopping, Douglas Lake, and over 240 restaurants. There is a minimum stay of two nights at this property. 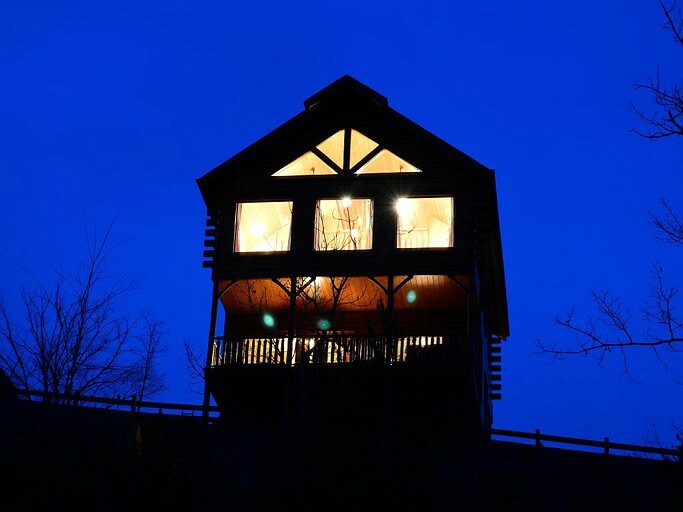 - From January 2 to February 29, the cabin is $130 per night during the week and $160 per night on the weekends. 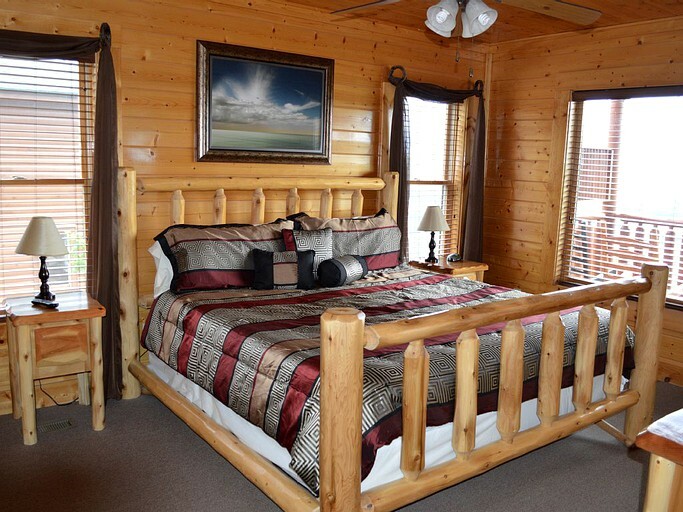 - From March 1 to March 31, the cabin is $160 per night during the week and $190 per night on the weekends. 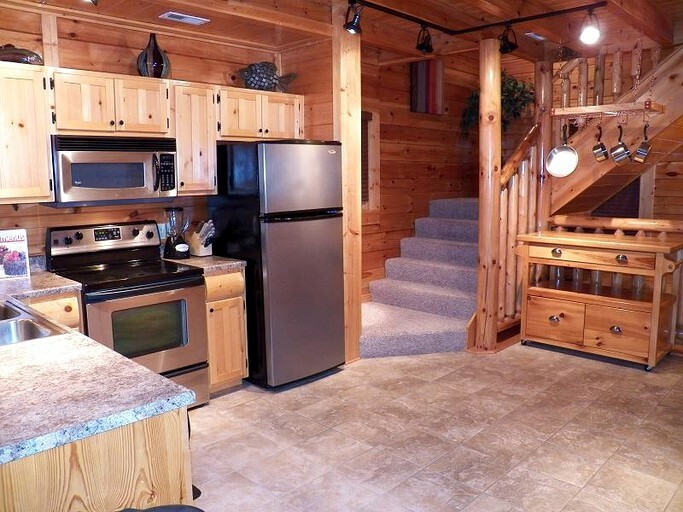 - From April 1 to April 30, May 1 to May 21, and May 26 to May 31, the cabin is $170 per night during the week and $200 per night on the weekends. 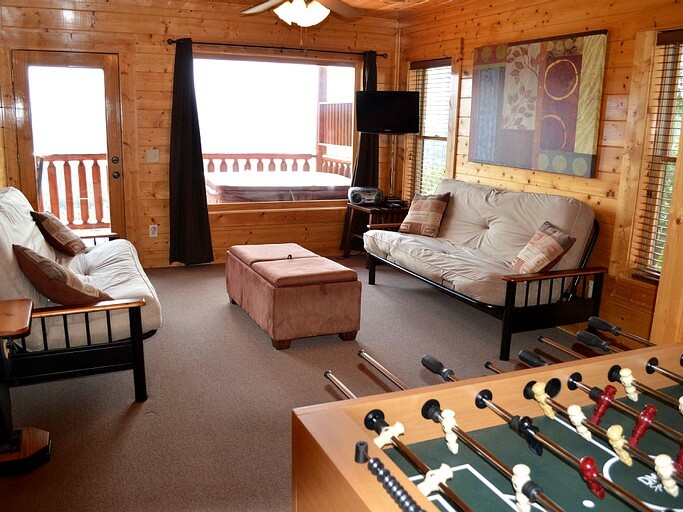 - From May 22 to May 25, the cabin is $250 per night. - From June 1 to June 30, the cabin is $200 per night during the week and $250 per night on the weekends. - From July 1 to July 31, the cabin is $300 per night. 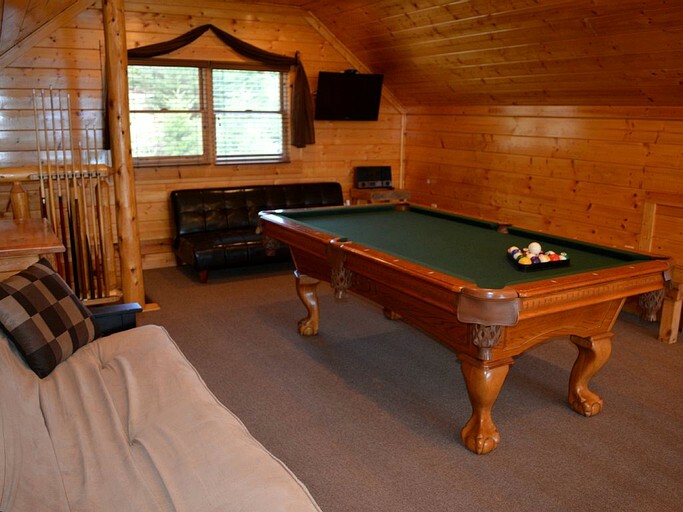 - From August 1 to August 15, the cabin is $250 per night during the week and $300 per night on the weekends. 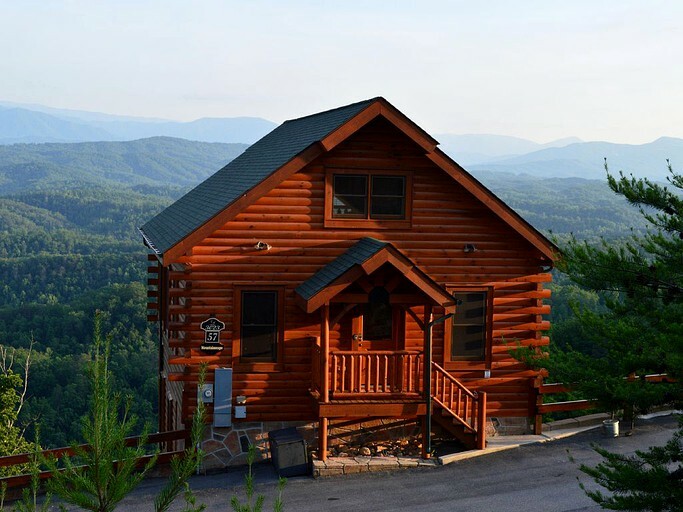 - From August 16 to August 31 and from September 1 to September 30, the cabin is $210 per night during the week and $250 per night on the weekends. 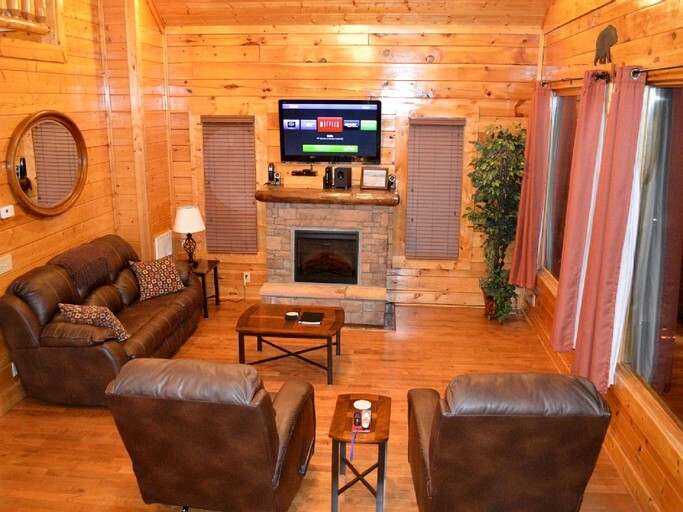 - From October 1 to October 18, the cabin is $210 per night during the week and $250 per night on the weekends. - From October 19 to October 31, the cabin is $250 per night during the week and $300 per night on the weekends. 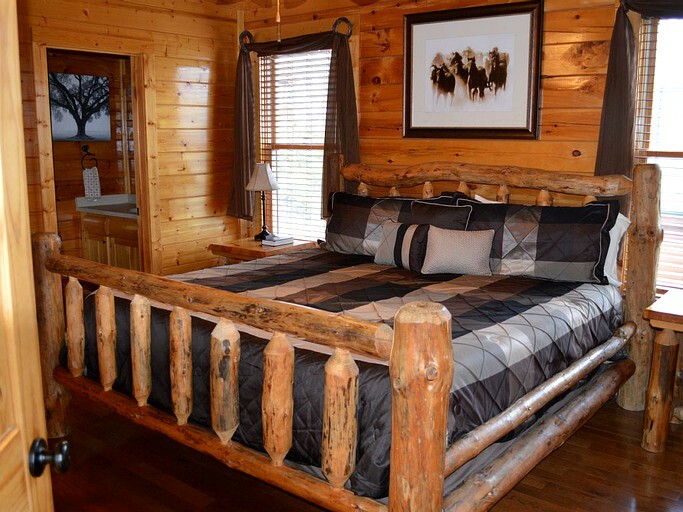 - From November 1 to November 22, the cabin is $170 per night during the week and $200 per night on the weekends. - From November 23 to November 30, the cabin is $300 per night. 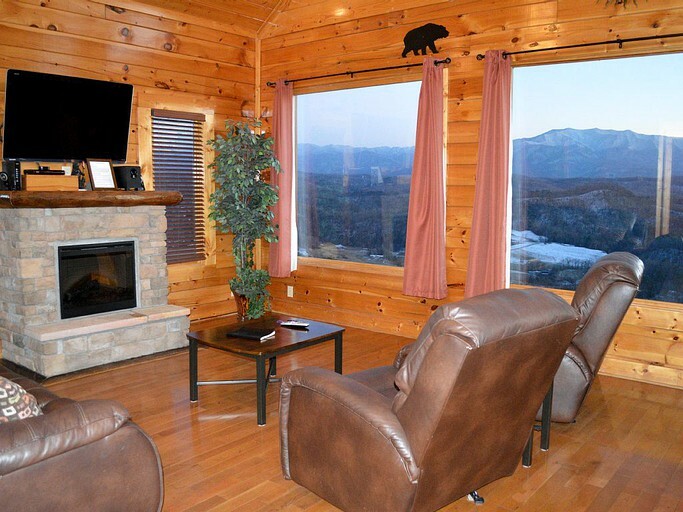 - From December 1 to December 20, the the cabin is $170 per night during the week and $200 per night on the weekends.